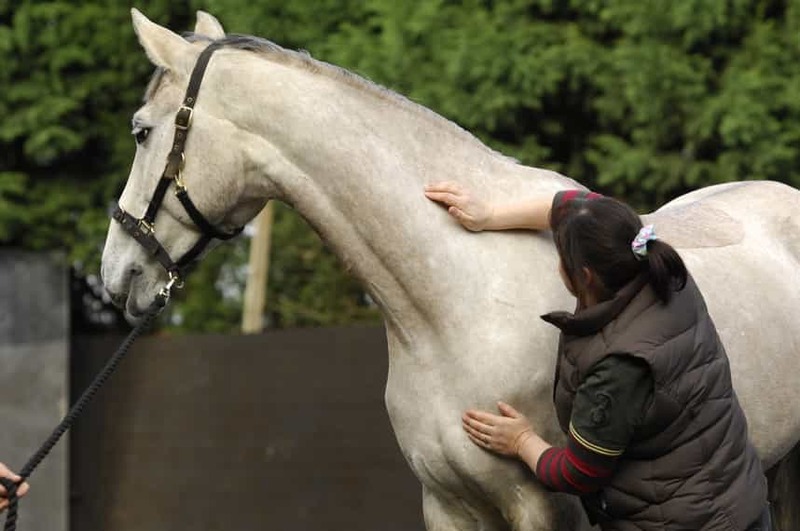 Equine sports massage therapist Eleanor Frost explains the techniques you can try on your horse if he's stabled more over the winter. If exercise or turnout isn't an option, massage is a great way to keep your horse's lymphatic (or circulatory) system working effectively. Maintain a rhythm and slowly increase the depth of the strokes. Move on to gently massaging his poll and upper neck muscles with a light squeezing motion along the crest of his neck. If your horse allows, gently grasp his ears in a loose fist and stretch them up and outwards, working from base to tip. Make gentle circular movements with your finger tips around the base of his ear. Use the palm of your hand to gently squeeze and compress his wither region and continue this along his entire back, gently walking your palms along to compress the muscles along his spine. Next, span your fingers out over his ribcage and gently vibrate your hands as if moving the skin and muscles between his ribs. Keep the pressure light and the rhythm smooth. Deeper gliding moves along the back will lead towards his hindquarter region. Use the heel of your palm to gently start compressing and pushing into these larger muscle areas. Lip curling, yawning, licking and chewing, and lowering of his head and neck are all good indications that your horse is happy and responsive to the work. Simple management techniques can help horses who have increased stabling and reduced turnout during the winter. Feeding from the floor mimics the horse's natural head and neck carriage he'd have if grazing in the field. A lowered head and neck position also helps keep his respiratory system clear, in addition to increasing saliva production, which aids digestion.